We present a framework for object recognition based on simple scale and orientation invariant local features that when combined with a hierarchical multiclass boosting mechanism produce robust classifiers for a limited number of object classes in cluttered backgrounds. The system extracts the most relevant features from a set of training samples and builds a hierarchical structure of them. By focusing on those features common to all trained objects, and also searching for those features particular to a reduced number of classes, and eventually, to each object class. To allow for efficient rotation invariance, we propose the use of non-Gaussian steerable filters, together with an Orientation Integral Image for a speedy computation of local orientation. Financial support to M. Villamizar and A. Sanfeliu comes from the EURON Network Robot Systems Research Atelier NoE-507728, and the Spanish Ministry of Education and Science project NAVROB DPI 2004-05414. J. Andrade-Cetto is a Juan de la Cierva Postdoctoral Fellow of the Spanish Ministry of Education and Science under project TIC2003-09291, and is also funded in part by the EU PACO-PLUS project FP6-2004-IST-4-27657. 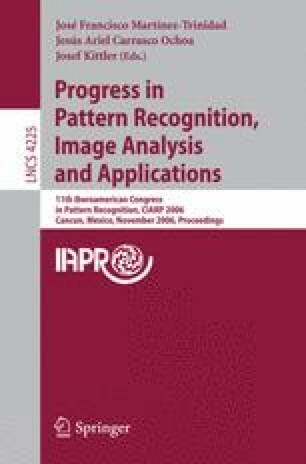 The authors belong to the Artificial Vision and Intelligent Systems Group funded in part by the Catalan Research Commission.